Preserving material culture & the social life of artifacts. Jana Dambrogio is a conservator, researcher, educator, & artist who is passionate about preserving cultural heritage & the social life of artifacts for access & interpretation. The artifact is a witness to a specific moment in history. Alter its physical evidence & the witness loses its voice. Developing thin tissue repair techniques that allow us to preserve material culture & its social life to have a better understanding of the past for access & inspiration. Recreating historic technologies using traditional methods & materials to understand their past functions. 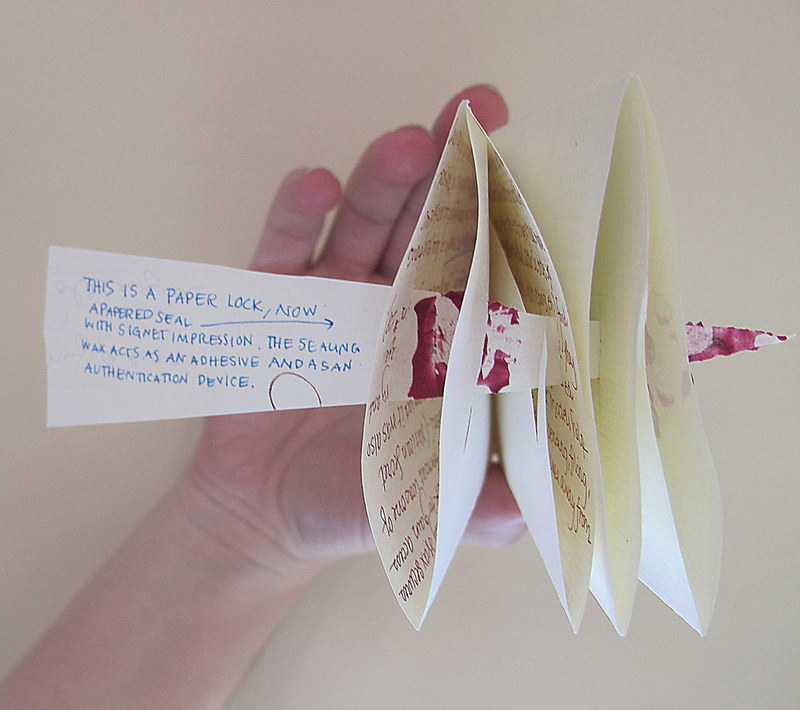 Providing resources for letterlocking™, the technology of folding & securing any epistolary writing substrate to function as its own envelope.